Buy both volumes of American Fantastic Tales in a boxed set and save $15! 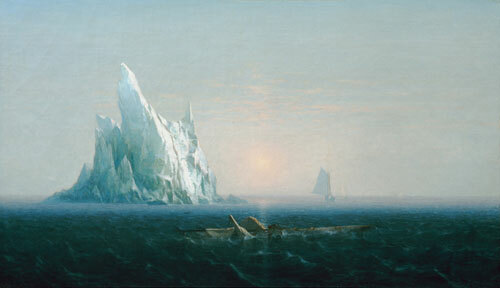 Polar Sea (The Cathedral), 1867, oil on canvas by American painter George Curtis (1830–1910). Courtesy WikiMedia Commons. Note: At the end of the story, the phrase per si muove (Italian, eppur si muove) refers to Galileo’s alleged utterance after the Inquisition forced him to disavow his belief that the earth moves around the sun. There was a certain weakness possessed by my ancestors, though in nowise peculiar to them, and of which, in common with other more or less undesirable traits, I have come into the inheritance. It was the fear of dying in poverty. . . .If you don't see the full selection below, click here (PDF) or click here (Google Docs) to read it—free! This leaves me(originally,no pun intended)cold. It's definitely got a flow to it, despite being encrusted in ice.